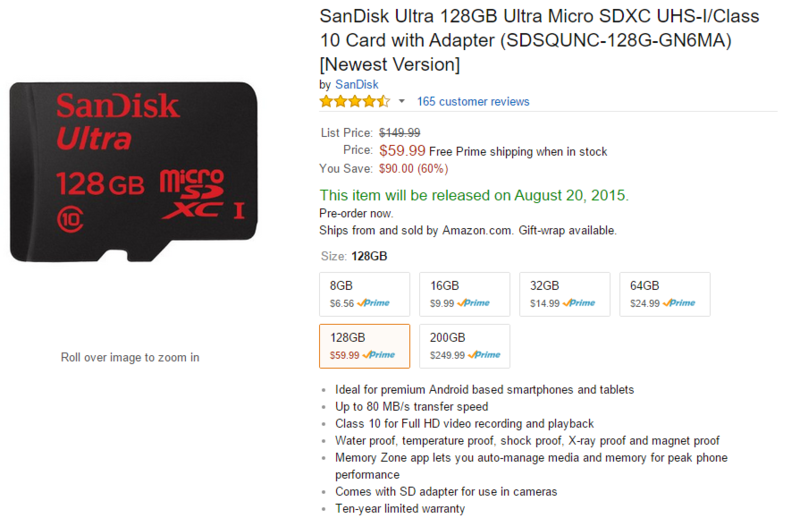 The 128GB card is not in stock yet, but if you pre-order now it will ship on or around August 20th. The other cards are all in stock and ready to ship. The 200GB card was released a few weeks ago and has actually gotten more expensive. The 64GB and lower are priced about the same as they historically have been, but they're still good deals.